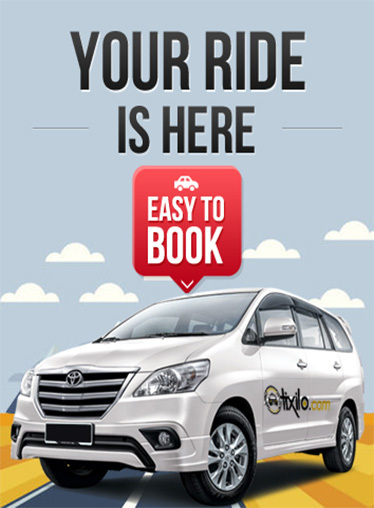 Whether you are travelling to Delhi (NCR) for a business trip, or for catching flight from the Delhi airport or just for seeing the historic places of Delhi, the hot one way service offered by Tixilo cab rentals are always recommended for a safe and comfortable commute from Jaipur to Delhi. Our one way taxi service is economic as well as affordable. We are amongst the most trustworthy and reliable cab rental service providers in Rajasthan. Why a Tixilo hot one way from Jaipur to Delhi? If you opt for hot one way taxi service of Tixilo cab rentals, you will able to save up to 50% on the one side trip from Jaipur to Delhi. Besides this, the convenience that you get of booking a cab of your choice and travelling in a smooth way is just priceless. We ensure of providing clean and well maintained one way cabs for a ride to remember. The distance between the two stations, Jaipur and Delhi, is 268 kms by road, which is covered in a probable duration of 4 hours in a Tixilo cab rental. At Tixilo, you- our customers are the prime importance and providing you a comfortable ride is our main motive. We offer a one-time pick up from anywhere in Jaipur and a one-time drop to anywhere in Delhi at affordable rates. · GPS and WiFi enabled cabs. · Range of cabs to choose from. · Easy booking through Tixilo mobile app.